Are you suffered with stray dogs and monkeys? 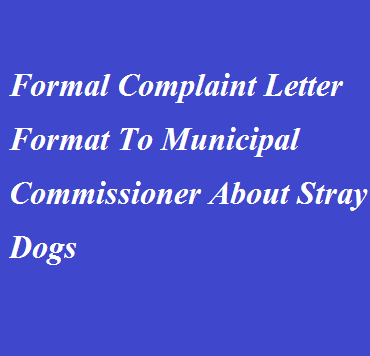 Thinking to write a compliant letter to the municipality? 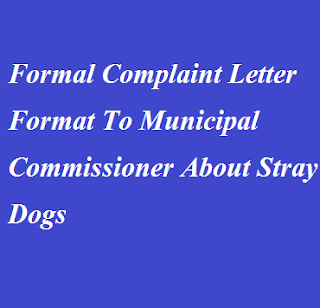 Here is a letter format available to help you write a good letter and submit to the Municipal Commissioner. I and people in our area are facing huge problems the stray dogs and moneys roaming around the main road and our streets. The dogs are often attacking the people and there are increasingly more danger to the society. We need to walk away with some fear. Many accidents are happened due to this dogs and moneys at night times. There are some sleepless nights due to the barking of dogs during night. So it is time to control them and thus I make hereby my complaint about the stray dogs and monkeys. I expect a positive action from your end as soon as possible. Thanking you! Note: Make appropriate changes in the above letter format wherever applicable.